You’re never going to struggle to find things to do in Bratislava. This is a city that combines the fascination of history with the beauty of nature and the fun and exciting vibe of a modern day metropolis. You can step back in time with a stroll through the old town or a trip to Devin Castle. Immerse yourself in local life then just spend some time relaxing in one of Bratislava’s impressive squares. If you’re looking for more inspiration, here are our top 10 things to do in Bratislava. 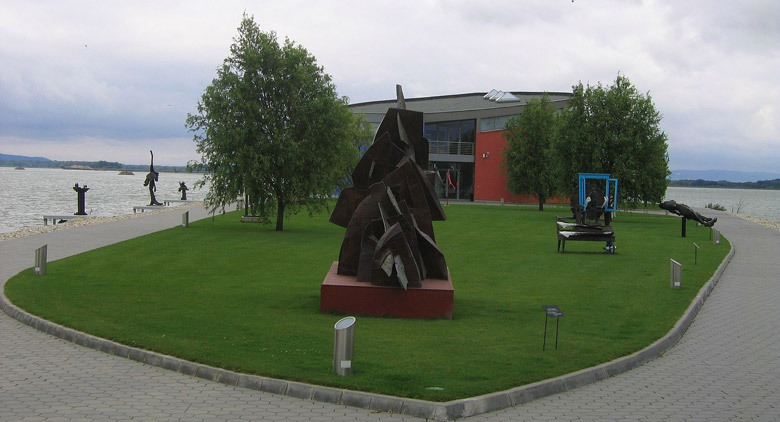 The Danubiana Meulensteen Art Museum is one of the newest modern art museums in Europe. It is situated close to 15 kilometers (9 miles) from the center of the city and is one of the most popular Bratislava attractions. Visitors to the museum are attracted both by its exhibits and its unusual location. The building lies close to the River Danube from which it gets its name, and it also lies on the border of Slovakia, Austria and Hungary. A visit to the site is certainly one that remains in the memory for a long time. The owner of the gallery is Dr. Vincent Polakovič who is supported in his passion to bring modern art into peoples’ lives by Dutch arts patron Gerard H. Meulensteen. These men have created a truly impressive experience for visitors. If you visit the art museum you will get to see a huge array of contemporary art as well as having access to a museum shop and a café where you can get some welcome refreshment. Outside the museum is a sculpture park where you can wander and enjoy the pieces of art against a backdrop of natural splendor. If you’re looking for things to do in Bratislava then a visit to Grassalkovich Palace is a popular choice. The first thing we should say is that you probably won’t be lucky enough to see inside the official home of the president of Slovakia as it’s only open to the public on one day each year. Don’t let this put you off though; there is more than enough to keep your eyes and mind occupied outside the palace. 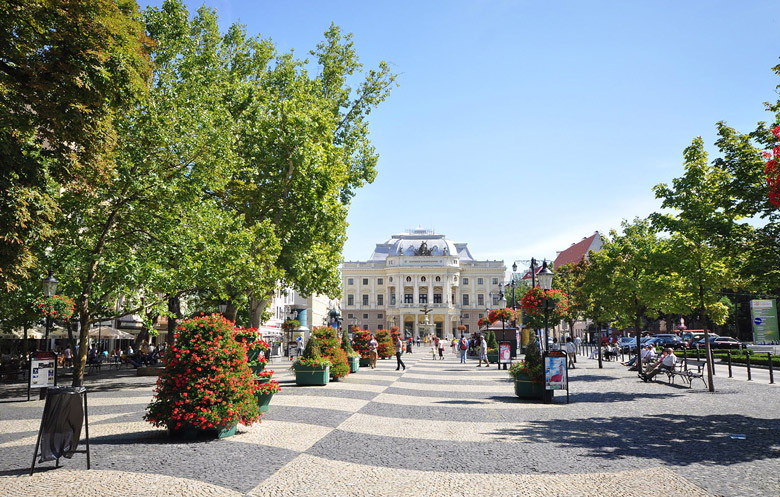 You can check out what the surroundings have to offer by making your way to Hodžovo square where the palace is located. One of the best photo opportunities when you arrive at the palace is located directly in front. This space is home to a fountain in the shape of the Earth. The fountain is intended to be a symbol of freedom and it’s also a great spot for a selfie! Once you’ve made the most of the photo opportunities at the front of the palace you should walk around to the back. Here you’ll find the presidential garden which has been turned into a public park and is popular with adults and children alike. There is a large playground as well as an array of paths among the trees where you can enjoy the beauty of a day in Bratislava. The Nedbalka Gallery should be one of the Bratislava attractions you visit if you have any interest in the development of art, especially during the 20th Century. The entire aim of the gallery is to take visitors on a journey through the themes of modern Slovakian art. There are four floors for you to explore if you decide to visit the gallery; all of them full of examples of the best the art and artists that Slovakia has to offer. There are more than 150 examples of paintings and sculptures on display for you to have a look at. All of the work on display is arranged in themes and chronologically so that you can see how ideas and styles have developed over the years. The gallery is an excellent place to visit if you want to get a close look at trends in Slovakian art over the years, right from the end of the 19th Century. 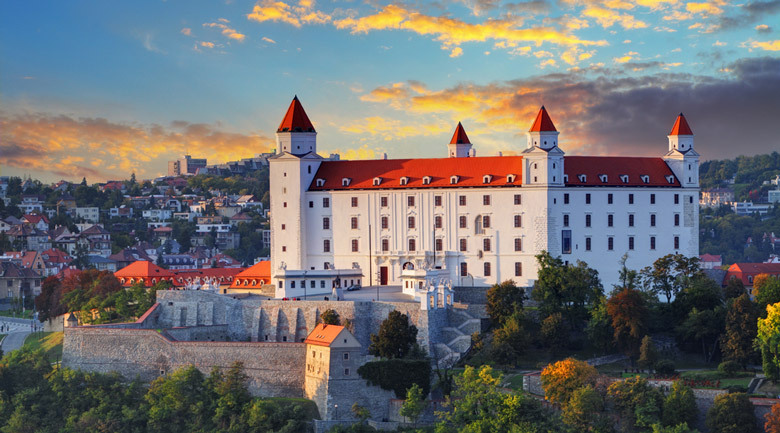 Bratislava Castle is the main castle in the Slovakian capital. It’s vast in size and is a great place to visit if you want to take a look at some incredibly scenic views. The castle is located in the Little Carpathians, on a hill, and any visitors to the site can see out across not just Bratislava but also Austria as well as parts of Hungary if the weather is good. There’s no doubt about it, Bratislava Castle dominates the landscape of the city and it’s a must see on any list of Bratislava attractions. It’s not just the surroundings that are impressive either; the castle itself is extremely eye catching. The main building consists of four towers as well as a courtyard. The building has many different architectural elements including Gothic and Renaissance aspects and a Baroque staircase. Part of the building is used to house a collection of archaeological finds and this first opened in 1988. One of the most impressive features of the castle is the well preserved Sigismund Gate which was originally built in the 15th Century. It’s an incredible feeling to spend time standing next to such an important historic structure. Hviezdoslavovo Namestie is one of the main squares in Bratislava and has been in existence for more than 1,000 years. A highlight of this square for many visitors is all the impressive examples of medieval architecture. One of the most important buildings on the square is the Notre Dame cloister; this is where noblemen’s daughters used to be sent to learn. The Slovak National Theatre is another important building on the square. The square received a major facelift in the 20th Century and now has the appearance of a promenade in the city. It’s a very green area and is mostly for use by pedestrians only so you don’t have to suffer the interruptions of busy city traffic. In the center of the square is a podium which has been the site of many cultural events through the years. There is also the tranquil sound of running water from the two fountains which run each day in the square. This is the perfect place to take a step back from exploring the city and just take in your surroundings so if you want a place to relax during a trip to Bratislava then Hviezdoslavovo Namestie is a good choice. A visit to Michael’s Gate and Tower should be high on your list of what to do in Bratislava. The impressive tower is almost 170 feet high and is one of the most familiar sights in the Slovakian capital. The building was originally built in the 14th Century and is now one of the oldest structures remaining in the city today. The area around the tower is impressive too. If you take the road which leads under the gate to the tower you will eventually reach the center of the city. Along the way you’ll see lots of small golden crowns which are there to commemorate the times when the monarchs of Hungary were crowned in the city. And if you’re visiting Bratislava with a loved one or you’re feeling romantic then you will want to check out the “Baštová” street which is next to the gate. It has a reputation as being one of the most romantic parts of Bratislava, and it’s also home to many restaurants and bars so you can take a break during your visit to Michael’s Gate and Tower. After your break, take a leisurely stroll back into the center of the city. 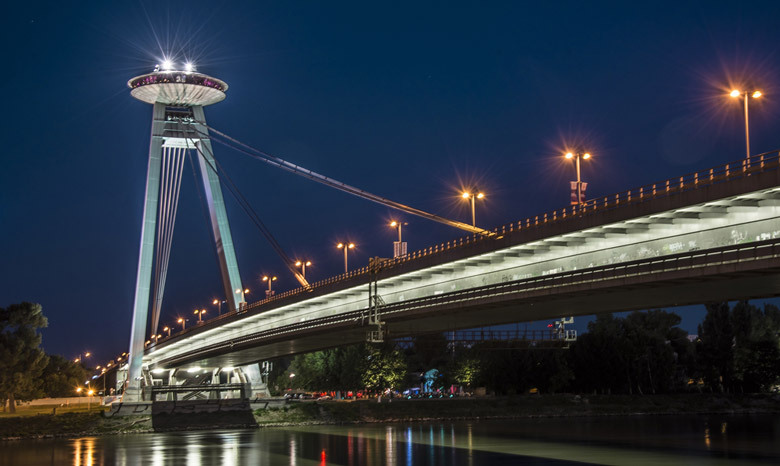 If you’re keen to find attractions in Bratislava that are a little different to the norm then you may want to pay a visit to the UFO Observation Deck. It’s not actually a place where you get to see UFOs, although you never know, but rather a place where you get to savor an exceptional panoramic view of Bratislava. The site gets its name from the UFO shaped cupola of the large hanging bridge; one of the biggest hanging bridges in the world. There’s an observation deck which sits atop the cupola. 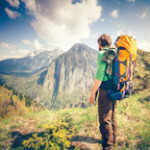 The main attraction of visiting this site is the photo opportunities it presents, although there is also a fine dining restaurant and a bar available if you want some refreshment too. The bridge spans the River Danube and is located at a popular spot along the river. You can easily walk to the bridge from Bratislava Old Town and find a seat on one of the surrounding benches while you take some time out to relax before admiring the views from the observation deck. If you do visit this Bratislava attraction just be sure to remember to bring your camera! A top thing to do in Bratislava is to soak up the atmosphere in Hlavne Namestie. The name translates as “Main Square” and the location is often regarded as the center of the city. 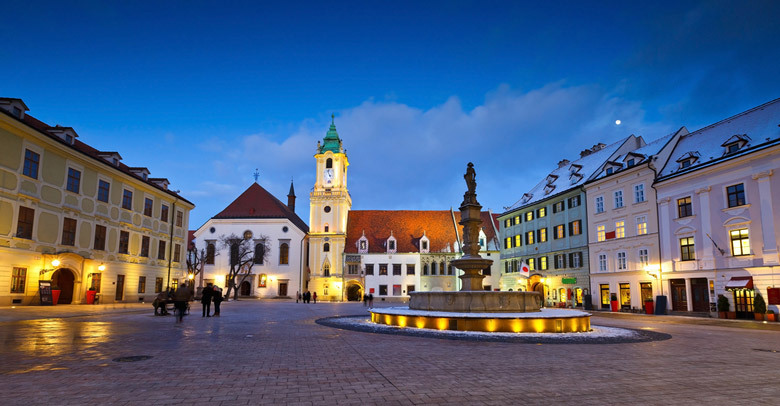 The square is located in the old town of Bratislava and has undergone many name changes over the years. The Old Town Hall is located in the square as is the Roland Fountain. The square is smaller in size than Hviezdoslavovo Namestie but is no less popular. At any time of year you will see plenty of activity in Hlavne Namestie if you visit. Each winter the square is home to the Bratislava Christmas Market with its picture perfect stalls, and also at this time of year you can often see people ice skating in the square. Throughout the year, the square is an excellent place to visit if you want to purchase local craft goods and there are often festivals and concerts happening too. If you’re staying in Bratislava then you really should pay a visit to this spot, which is at the center of life in the city. The site of Devin Castle in Bratislava has been the home of fortifications since the Bronze Age. Over the years the Celts and Romans also built fortresses at this spot, due to its excellent strategic position. The castle is located just within the boundaries of Slovakia on the border with Austria. Visit the castle and be fascinated by the stories surrounding the history of the castle watchtower. The quaint looking structure is located separate from the main castle building, and tales are often told of lovelorn daughters being imprisoned there. Whether there is any truth in any of these stories we will probably never know but the watchtower is still popular as a photo opportunity. Once you venture inside the castle a whole new world opens up. You can explore the array of staircases, gardens and courtyards. The condition of the areas of the castle is mixed as there is still restoration work going on, but they are all accessible and provide a fascinating glimpse into the history of this popular Bratislava attraction. Our top thing to do in Bratislava is to visit the Old Town. This part of the city is home to the preserved medieval district and although the area is only small it provides a fascinating glimpse into the history of Bratislava hundreds of years ago. The old town is famous for being home to many beautiful churches as well as a promenade along the river. It’s also the location of many foreign embassies. The Old Town is not just part of the city’s history; it’s still very much part of modern life and is home to government departments such as the Ministry of Culture, and the Ministry of Justice. The eastern part of the Old Town is the most popular with tourists. 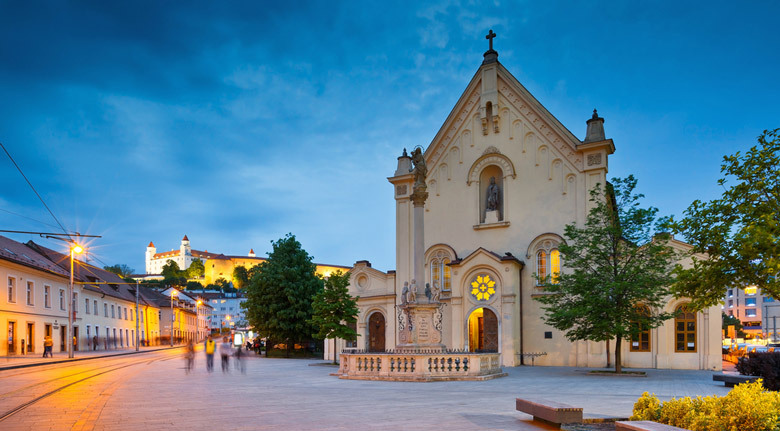 It’s here that you will find popular attractions such as the Grassalkovich Palace and St. Martin’s Cathedral, both of which feature very heavily in the history of Bratislava. If you’re spending time in Bratislava then you should take time to enjoy the contrast between this historic part of town and the modern city that exists today.